Multi use games area cleaning is a vital part of making sure that your facility is 100% safe and it’s absolutely imperative in making sure that the surface achieves the maximum possible product life it can. It’s important that you take into account cleaning and maintenance within your budget, as it’s a necessary part of any sports pitch’s life. For a sand filled MUGAs facility, a deep clean ensures that the infill is evenly spread out; it also removes any contaminations, dirt or mud that could be affecting the playing characteristics on the surface. On a hard court in macadam or polymeric rubber, brushing and pressure washing remove debris from the flooring and prevent the pores from getting blocked up and leading to water puddling. 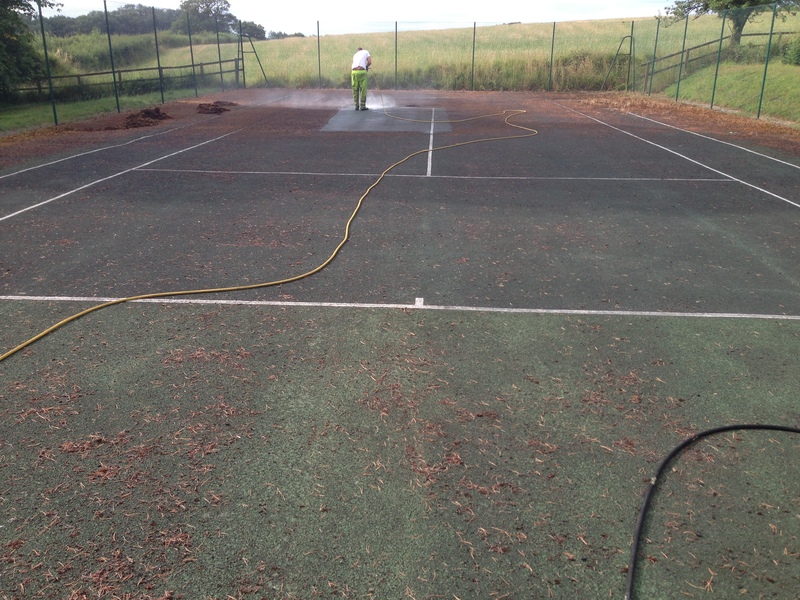 Contact our experts today to discuss the costs for cleaning and maintenance of your MUGA court. We’d be happy to offer a quote for this work based on your budget and the existing conditions of the area. As specialists we have worked with many clients including schools, clubs and individuals to carry out this process so don’t hesitate to ask any questions. MultiSport floor cleaning also ensures that the surface maintains its porosity and drainage capabilities, so if you start to notice your pitch is holding water, a deep clean could be a suitable solution. Thorough multi use games area cleaning will ensure that the sports flooring is suitable for use all year round, even throughout the harsh winter months. 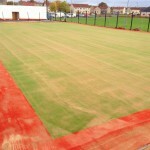 It will also ensure for leisure centres and sports clubs that people will continue to use the facility as it’s completely safe and the playing characteristics of the surface are to a high quality. It’s recommended that you have a regular deep clean scheme in place; this will absolutely ensure that your sports pitch will remain as safe as possible for the players and has the best performance characteristics. 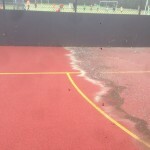 A fresh coating of anti slip paint with new sport line markings can also be applied after a thorough MUGA cleaning process has taken place. 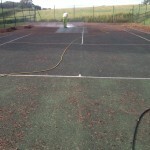 This will be done to restore the original performance qualities and give the court a bright new look. It will also make sure that the line markings will be clearly seen during matches so scores can be taken accurately. Multisport surfaces cleaning costs will vary depending on the severity of the work needed, and also the frequency of any required maintenance. However making sure that your surface is looked after properly will ensure the product life is as long as it possibly can be. This means in the long term you won’t have to replace the surface or do any extreme maintenance on it to get the performance characteristics back on track. However the main factor that affects the multi use games area cleaning costs is the size and dimensions for the entire area. The size will affect the length of our process, which means the job may have to be done over two days. If there are lots of contaminations as well, such as dirt, twigs leaves and mud, this will also greatly increase the overall time it takes to carry out the job, ultimately increasing the price. 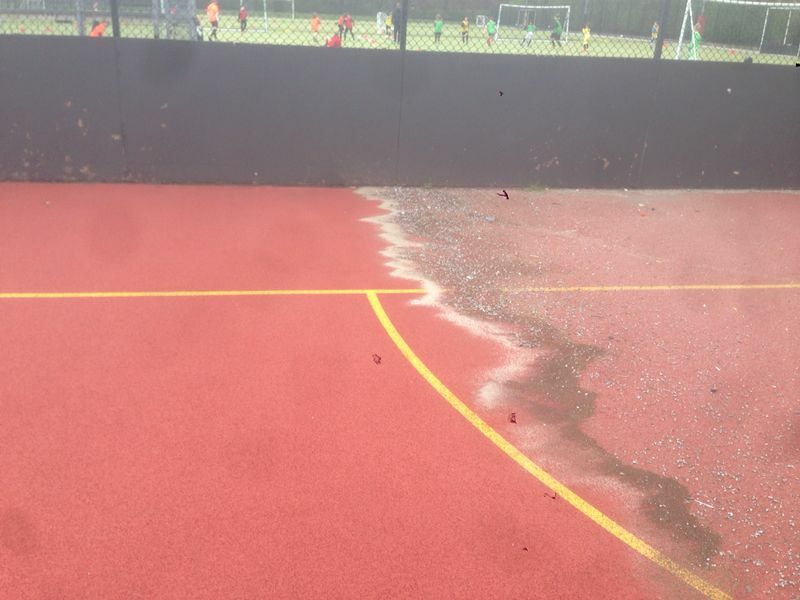 As mentioned before, it’s imperative to take into account maintenance and cleaning for the overall price of a MUGA facility as they really are an essential factor in getting the best out of your sports surface. 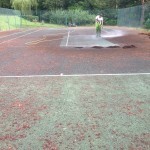 The video below shows rejuvenation maintenance to a dirty sand filled synthetic grass tennis court facility. 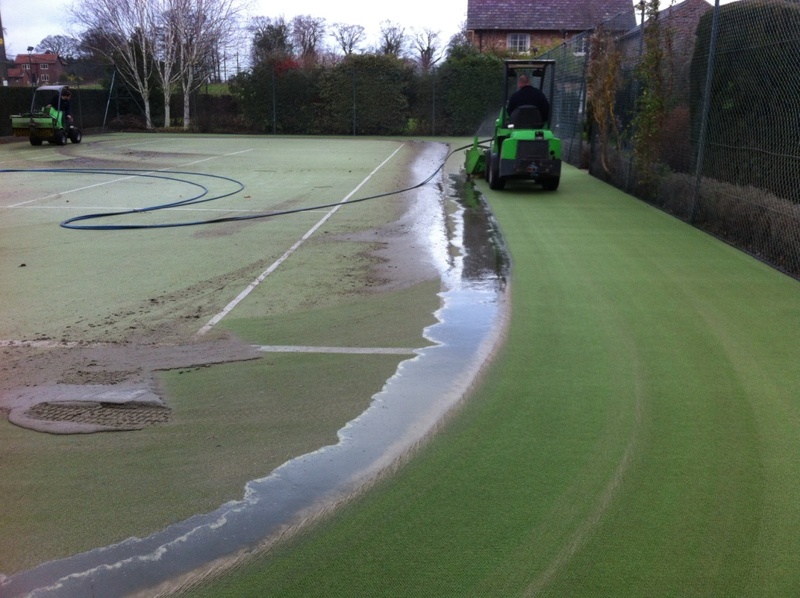 The silica sand in the artificial carpet had become contaminated due to a lack of care as debris and dirt had got stuck between the turf fibres. 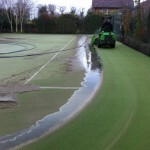 This meant that the court’s drainage qualities were lost and the playing surface became slippery and unsafe. 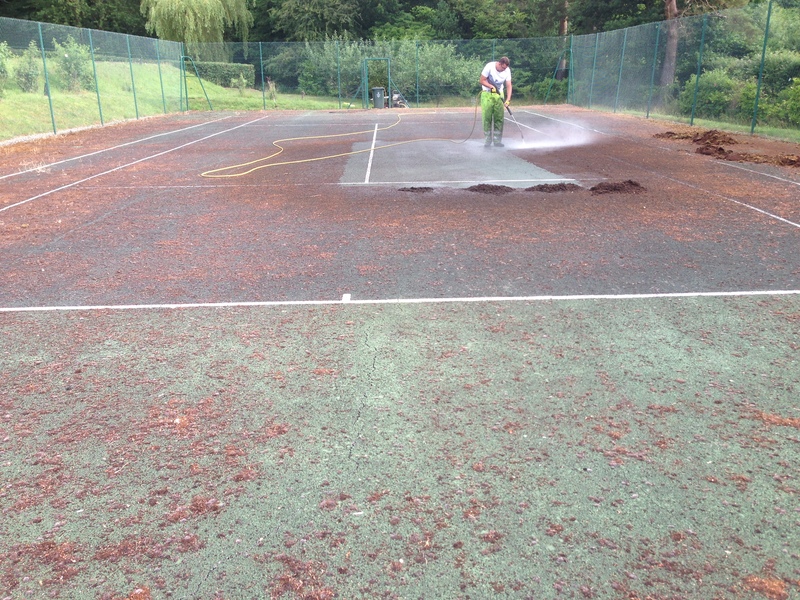 We carried out a rejuvenation process to remove the sand infill from the tennis court and replace it with a new clean layer which improved the performance characteristics and made the facility safe for use again. Our aim is to offer you a great value service which gives you the end result you’re looking for, but at a price you are happy with. We can tailor a quote for multi use games area cleaning which fits within your organisation’s budget requirements and still leaves you with a great looking sports facility. Please fill in the contact form in this page if you would like to ask us any questions on the services we provide for outdoor sports facilities. If you send us over a post code for your project, along with dimensions of the area we will be able to give a precise quote on costs for the work.